Meerut, India -- Gautama Buddha and Buddhism have made excellent contributions towards strengthening the Indian Way, which is based on universal acceptance, particularly in making it dynamic and bringing the common man into its fold. Buddha’s contribution for taking this way in his time, when it was a narrow path, cannot be underestimated. Buddhism’s roots are deep. 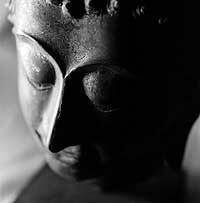 It is believed that Buddhism existed long before the birth of Siddhartha Gautama. Buddhist texts say that Gautama Buddha was one among a thousand awakened to attain Buddhahood. The chain of Buddhas will continue, with the Maitreya Buddha being the next one to come. 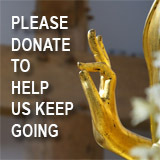 Buddhism is an accessible way of life as shown by the Buddhas. By overcoming negative ideas, a Buddha develops positive virtues and rises to the stature of being a mentor to the world. Anyone, by knowing the reality of life, through self-control, restraint and discipline, and by following the Middle Way, can get through the journey of life. By continuously doing good acts, he develops virtues, escapes the bond of sorrows, and attains the stage of being a Buddha. Siddhartha Gautama, born in 563 BC, the son of Suddhodana and Queen Mahamaya of Kapilvastu, belonged to the Ikshavaku family line, which also gave birth to most of the Jain Tirthankaras – one who achieves enlightenment through asceticism, becoming a teacher to others – as well as to the great King Harishchandra and Lord Rama. At the time of Siddhartha’s birth, social and political conditions were very complicated. People were victims of atrocities and exploitation. There was a great void of love and sympathy among people for one another. Competition and jealousies at their worst dominated human practices. People were busy with rivalries and conspiracies against one another. The religious field had become discriminatory and isolated, and the center for achieving self-interest. At that time, Siddhartha rose to the stature of the Buddha. He, as per the demand of the time, re-established Ahimsa, the supreme human value, in different walks of life in the form of Karuna, or compassion. His unique work added a matchless dimension to the Buddhist tradition. By making the way of human equality accessible, based on the ideal of Karuna, he gave new life to the Indian Way. Gautama Buddha’s contribution to the Indian Way and to humanity can be highlighted in three ways. On the strength of his intense and highly philosophical research based upon knowledge, logic, and exercise, and having the four Arya Satyas - sorrow, its cause, its cessation, and the means of its cessation - in the center, he described the reality of human life. This was his first great contribution. He clarified to the suffering world that sorrow was the supreme reality of life. Birth, disease, old age, death, astonishment, depression, grief, contact with the unloving, separation from the dear, and the non-fulfillment of desire are sorrows. Desiring enjoyment, power, wealth, and the will to live are the causes of sorrow. Desire and lust give birth to a state of struggle and conflict, become the source of striving and lead people toward the ocean of sorrows. Cessation of these desires is the way to become free from sorrow. 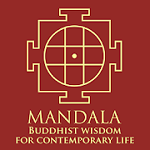 Gautama Buddha established the Eightfold Middle Way as the way to free oneself desire, the cause of sorrow. His path, besides becoming the Way’s best introduction, proved to be a milestone of the Way. Buddhism flourished, affecting millions of Indians and becoming the basis for the lives of many around the world. It touched the heights of the spiritual world in his lifetime. The simple and practical teachings of Buddha saved man. Shakyamuni’s call for equality and people’s response to it paved the way for social change in India. It was his second noteworthy contribution. Perhaps many are unaware that, on many occasions, Buddha expressed views on the importance of democracy. He called upon people to strengthen democratic values for the common welfare. Despite the existence of democratic institutions in India centuries before his birth, his advocacy of a democratic system, at a time of complicated social and political conditions, was a historical event. He stressed making collective decisions; cooperating to implement them; respecting the pre-established system of welfare and law and elders’ advice; not using force on women; protecting Dharma; respecting the monks; strengthening morality and dutifulness in life; and showing reverence for others’ views and faiths. These principles continue to have significance today for the prosperity of the system, if adopted as per the demands of the time. Gautama Buddha brought all movable-immovable objects and views within the scope of Law of Change. Purification according to the demands of the time and place is an indivisible part of this Law. Hence, his call to accept this Law for all-around progress is his third important contribution to the Indian Way and to humanity.